Although it may seem like a modern invention—much as Valentine’s Day is allegedly a racket concocted by greeting card companies to, well, sell more greeting cards—the custom of giving special gifts to commemorate one’s wedding anniversary has, in fact, been traced to years gone by. We’re talking long, long ago, way back to the era of the Holy Roman Empire, when husbands first began to bestow silver wreaths upon their wives in honor of their 25th year together, with golden wreaths reserved for their 50th. 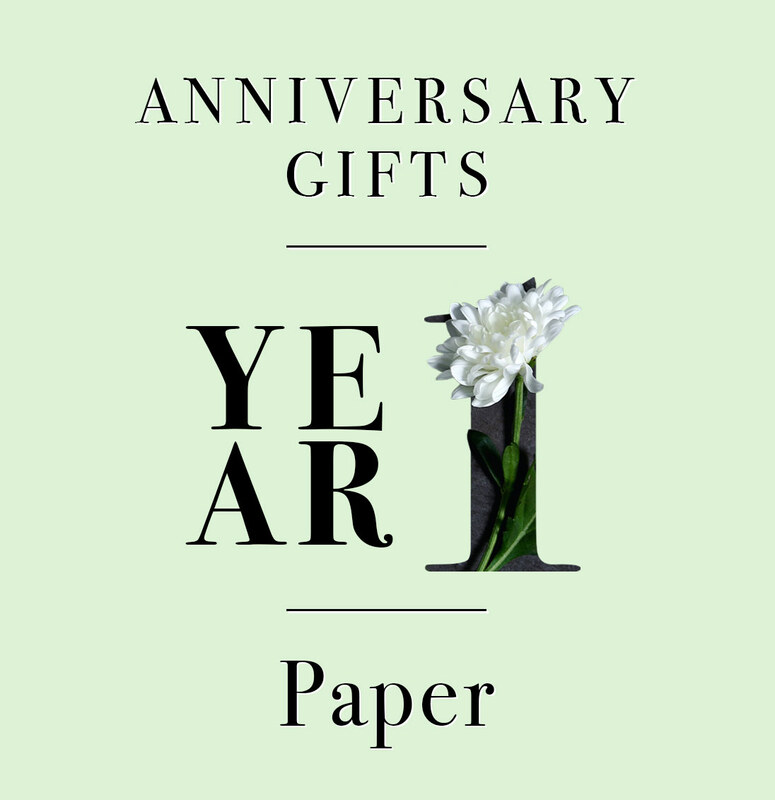 So where’d we get the “traditional” year-by-year list of anniversary gifts? It’s a bit of a mystery. 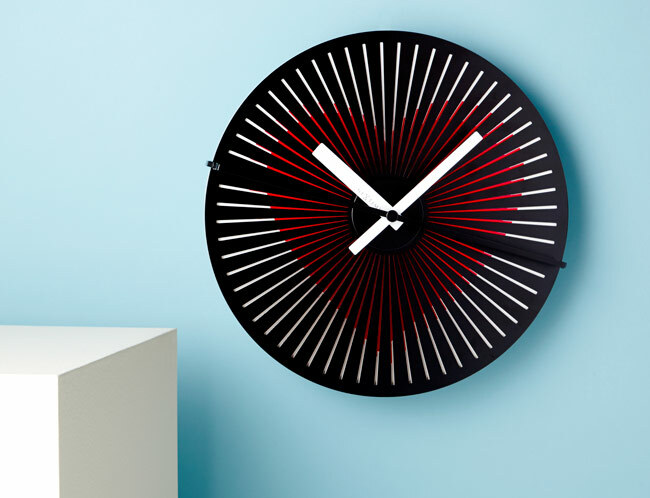 (And if you’d rather get a head start on your shopping than read about any more gift-giving history, click here.) Although the Victorians likely expanded a bit upon the practice, by 1937, only eight anniversaries were considered indispensable gift-giving occasions: the 1st, 5th, 10th, 15th, 20th, 25th, 50th, and 75th. We do know that that year, the American National Retail Jewelers’ Association released a new, more comprehensive list of anniversary gifts by year, now known as the “modern” list, identifying a unique material to confer upon your sweetheart for each year through the first 25 and for every fifth year after that, extending all the way through to the lofty milestone of the 90th anniversary. While we’re hardly slaves to tradition—heck, “uncommon” is half of our brand name—we here at UncommonGoods thought it a worthy challenge to make our way through the traditional list of anniversary gifts by year and select some of our most uncommon offerings for each, all the way up to the big 5-0. 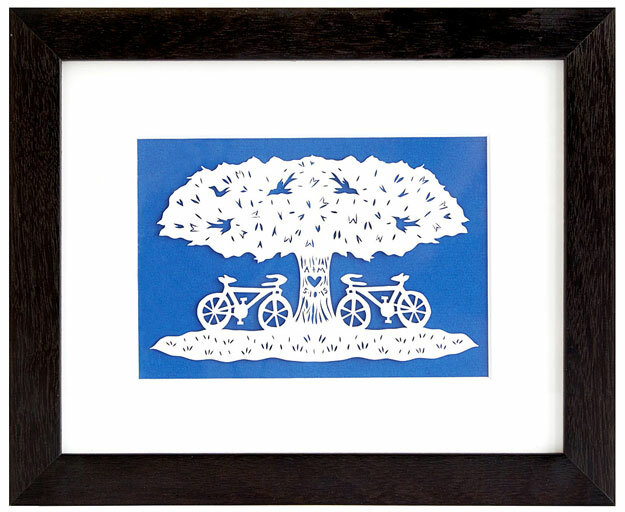 First up: the first anniversary, customarily marked by the giving of gifts made of paper. The word “papercut” isn’t usually synonymous with warm fuzzies, but thanks to maker Annie Howe’s facility with a blade, that’s changing. Besides, nothing says “I love you” quite like a gift with a truly personal touch. Sometimes, home isn’t a place—it’s a person. 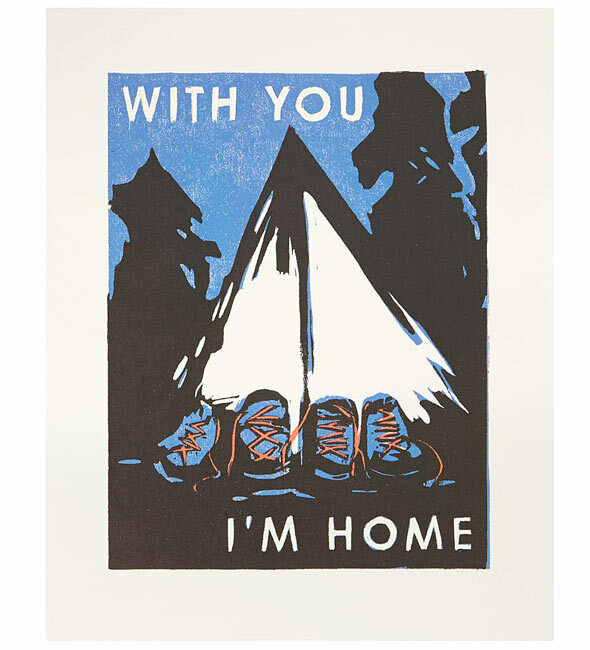 Tell your spouse how much they mean to you with one of printmaker Rachel Kroh’s tender tributes to love and the great outdoors. 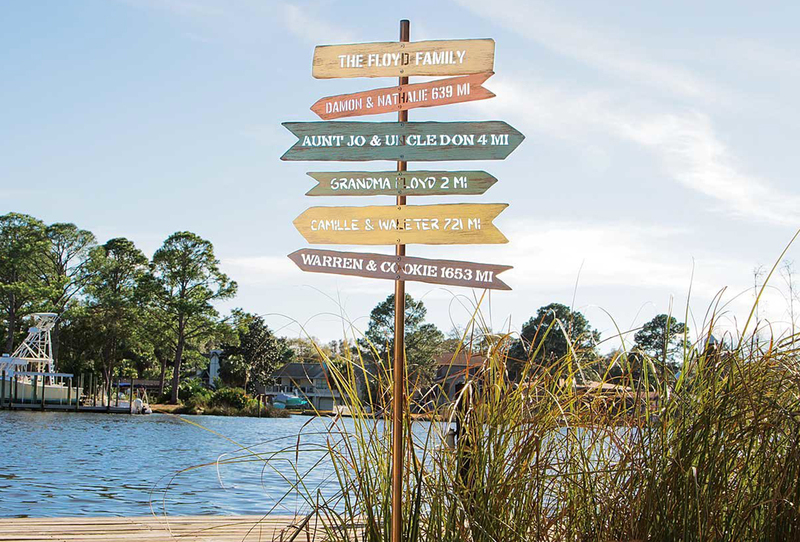 Marnie Karger’s cartographical cut-outs are a great way to give a nod to the coastal regions that have set the scene for your love story. 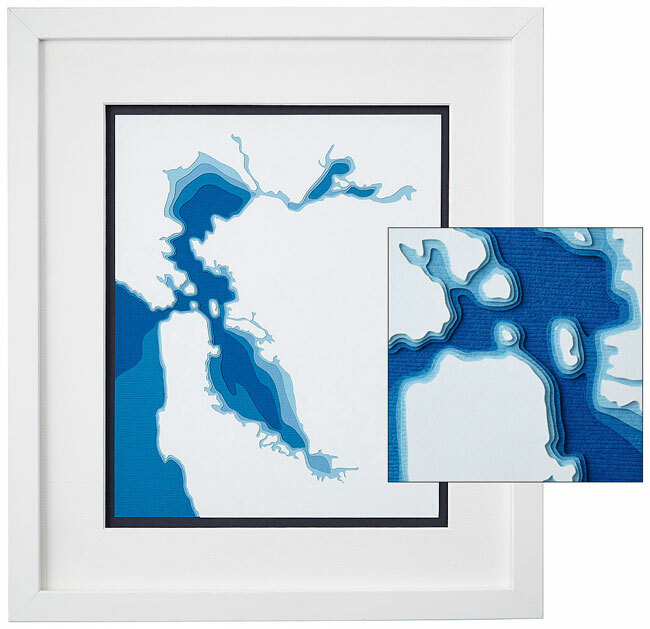 Also available: Cuts of the Hawaiian Islands, the Great Lakes, the Massachusetts Coastline, and the Chesapeake Bay. 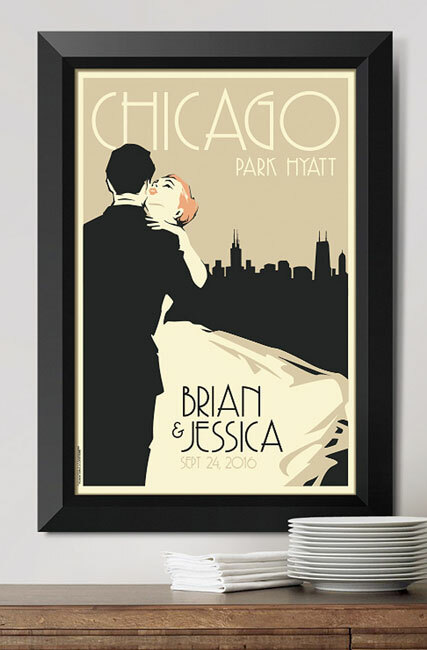 Commemorate the taking of your vows with this highly customizable artwork printed on double weight paper with archival quality inks. Alexander Doll’s design is at once classic and modern, and everything from the background color down to the shape of the skyline is yours to choose. You’ve only made it a year so far, but you can still look to the future! 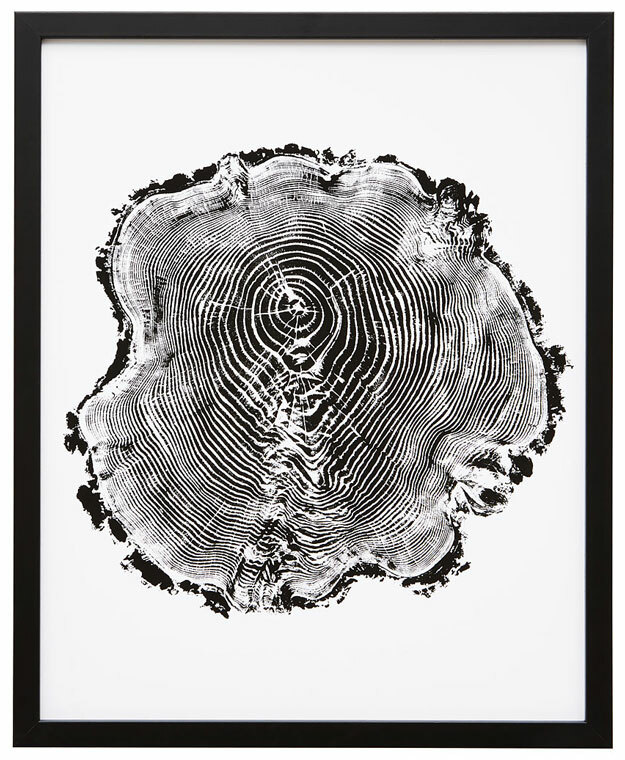 Let Lisa Lewis’ unique print remind you of the many years left in your romance, which—much like the mighty oak—will only continue to grow. They’re the PB to your J, the cheese to your crackers, the milk to your cereal—and the fourth leaf to your clover. 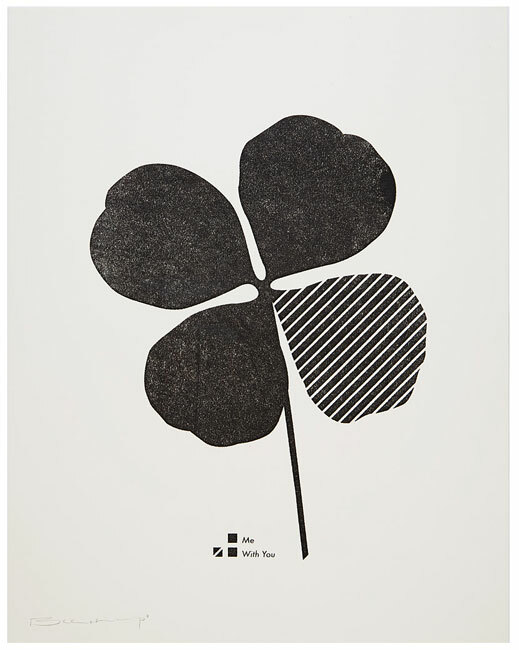 Show them how lucky you are to have them with Gregory Beauchamp’s touching hand-finished transfer print. 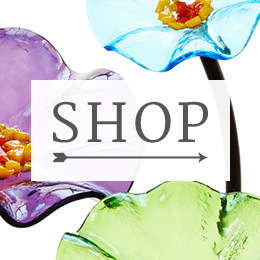 For your first anniversary, give a gift that will guide you through your 60th. 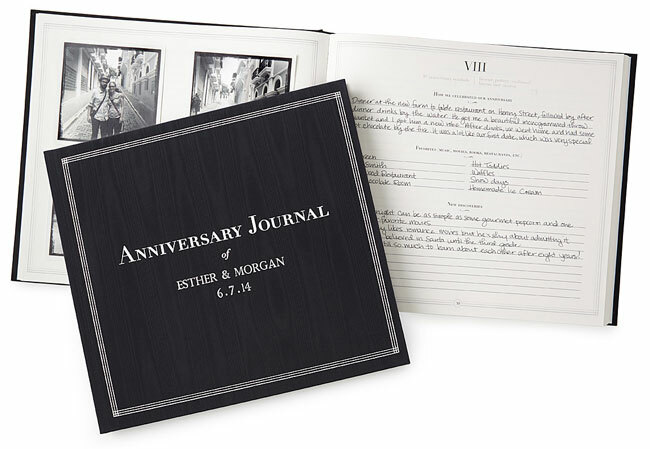 Personalized and crafted from fine materials, this journal allows you to document shared experiences, new discoveries, and changing favorites as time rolls on, ultimately forming a handwritten record of your marriage from year to year. 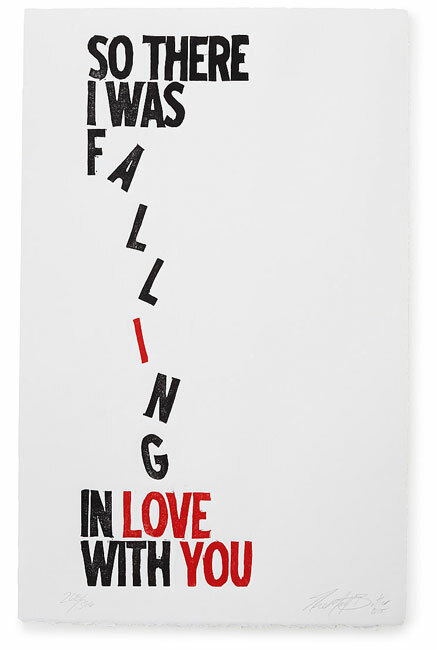 Although Matt Butler’s hand-signed and numbered linoleum cut recalls the sometimes-terrifying excitement of the early days of your romance, its red-tinted letters spell out a definitive declaration of love befitting a first anniversary. 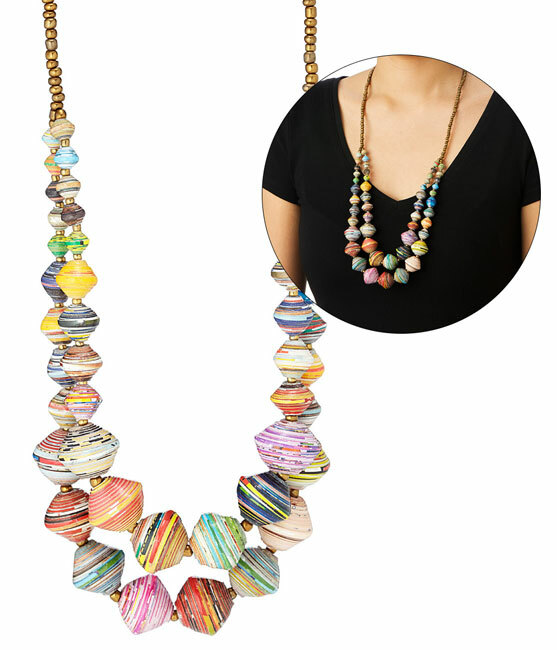 Handcrafted in Uganda, this playful necklace incorporates beads made from colorful, tightly rolled strips of recycled paper, turning the traditional first anniversary gift-giving theme on its head. 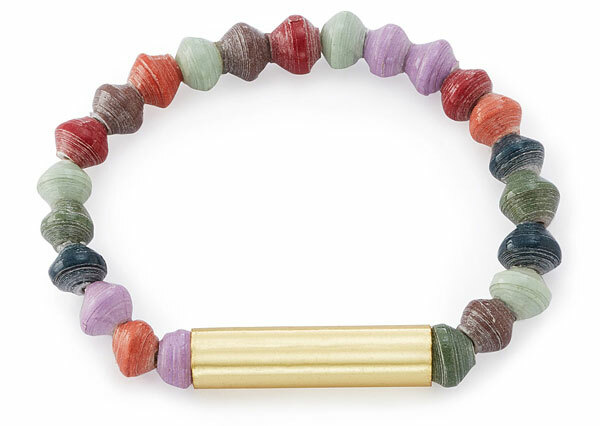 A natural companion to the Voyager Necklace, this elegant bracelet offsets the quirkiness of its rolled-and-varnished paper beads with a distinctly grown-up brass bar. The best part? 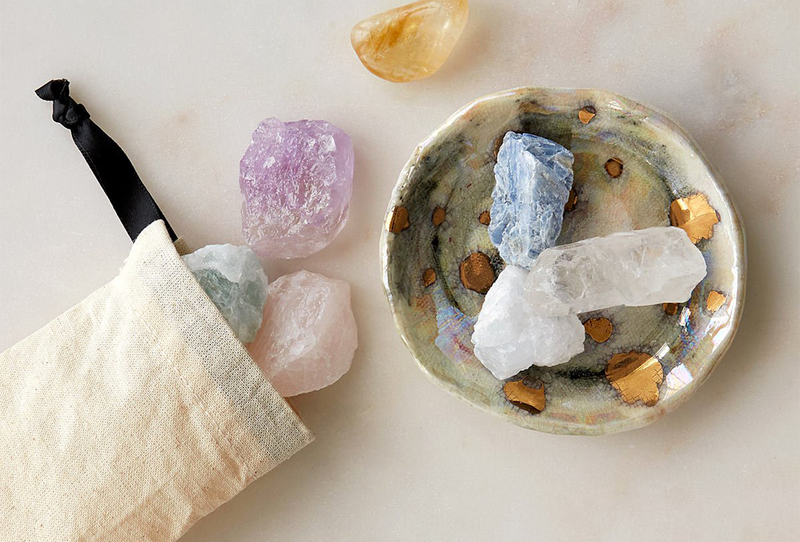 No two bracelets are the same—they’re full of surprises, just like the two of you.